I always like reading new children's books to share with my nieces and nephews. 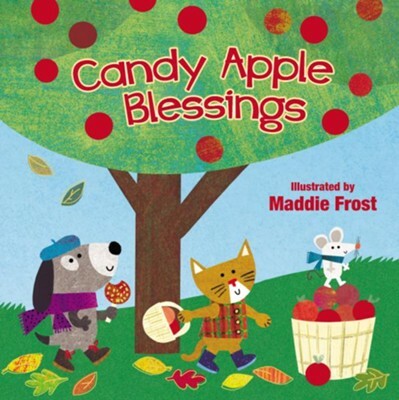 I was happy to have the chance to read and review Candy Apple Blessings. I love all of the pictures in this book! This is fun! This is a fun book for babies, toddlers, and preschoolers. The idea of the story and the repetitious parts are fun for kids. Pumpkins aren't a fruit, are they? This book calls them one, which could be confusing to young children. Overall, I really like the look of this book. I give Candy Apple Blessings 4 out of 5 stars.